Strawberries and Pineapples. What a marvelous combination: sweet, a little tangy at times, and terribly satisfying. My cravings for sweet are boundless, so I need to keep healthy and homemade options around at all times. 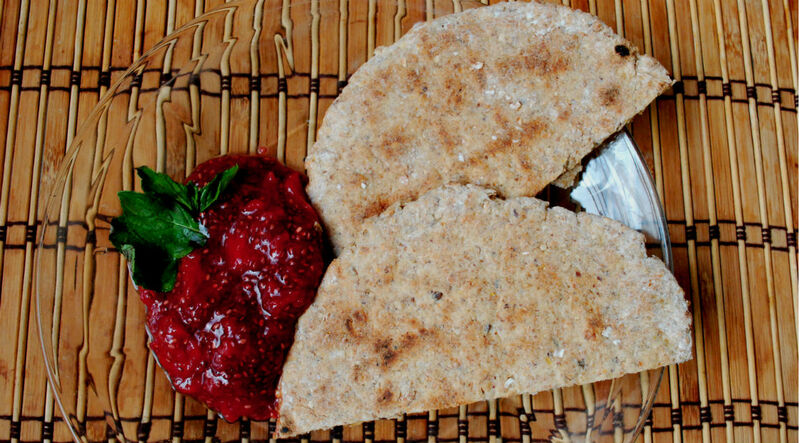 This recipe is so simple and quick, plus using chia eliminates any need for thickeners or pectin. 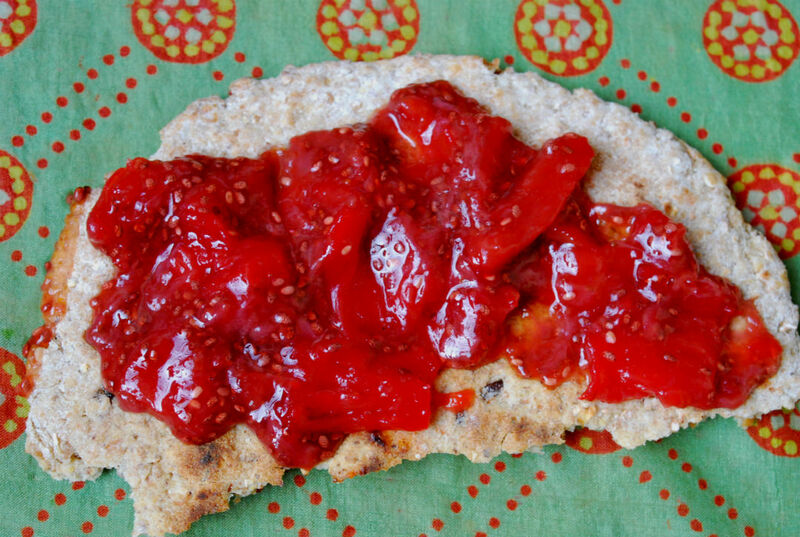 And of course, the chia takes this jam from natural and delicious to a whole new level of health eating. You go, chia. You go. Combine fruits and zest in sauce pan and simmer on low until fruit breaks down. Mash with potato masher to desired consistency. 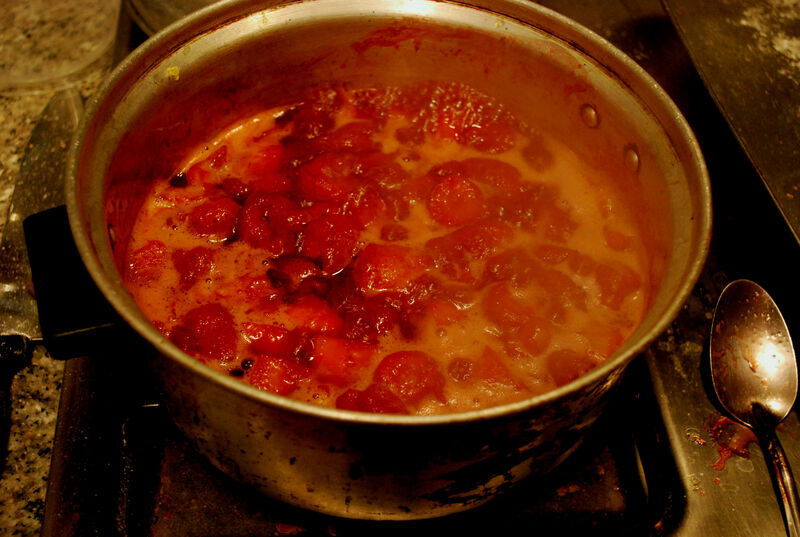 Add agave, and when marmalade mixture has simmered down and lost most of its water (75%), add chia. If the end consistency is too thin for you still, add more chia seeds. Cool and enjoy! yum, can’t wait to try it! I had a friend buy me some chia seeds from the organic store in the City. Now is a good time for berries!